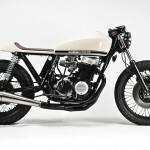 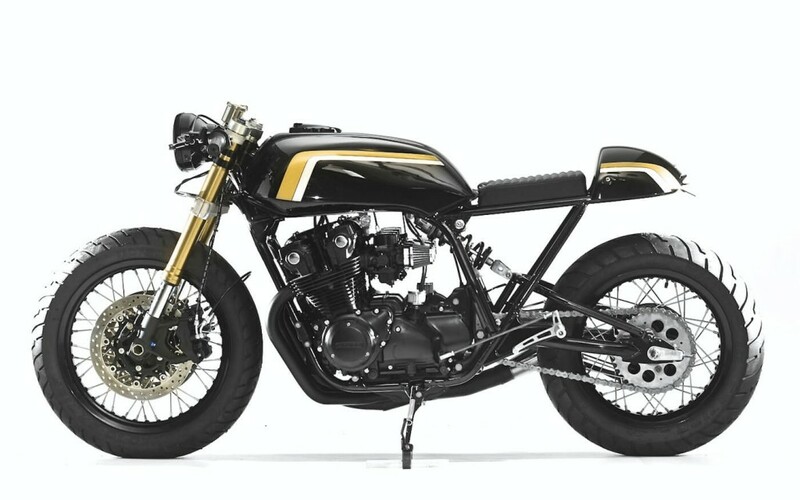 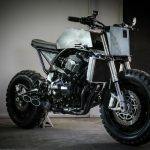 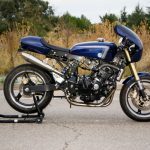 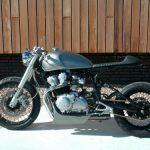 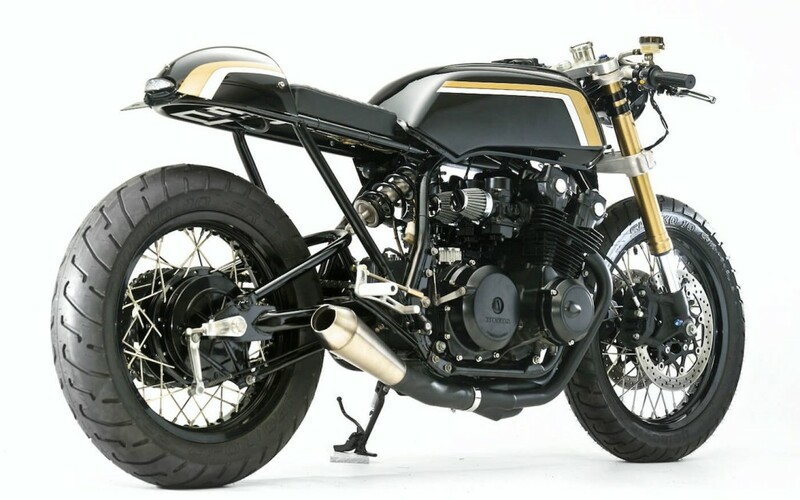 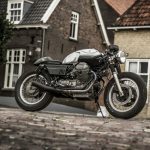 The builders of Steel Bent Customs get a brief and clear assignment: build me a café racer based on a CB750 with a big USD fork and spoke wheels. 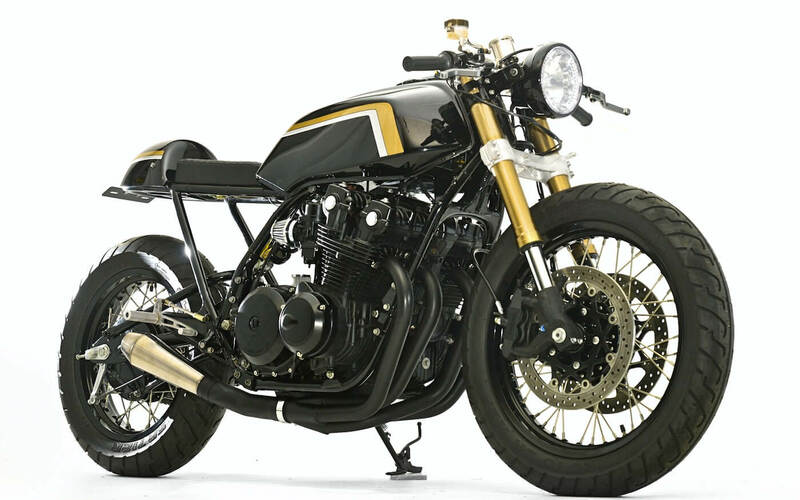 All other details and designs where up to the choice of the builders. 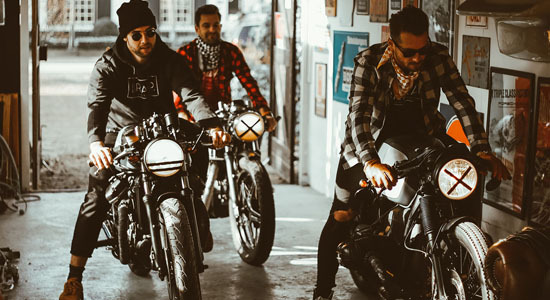 Nothing to fear when you take a look at the impressive track record of SBC. 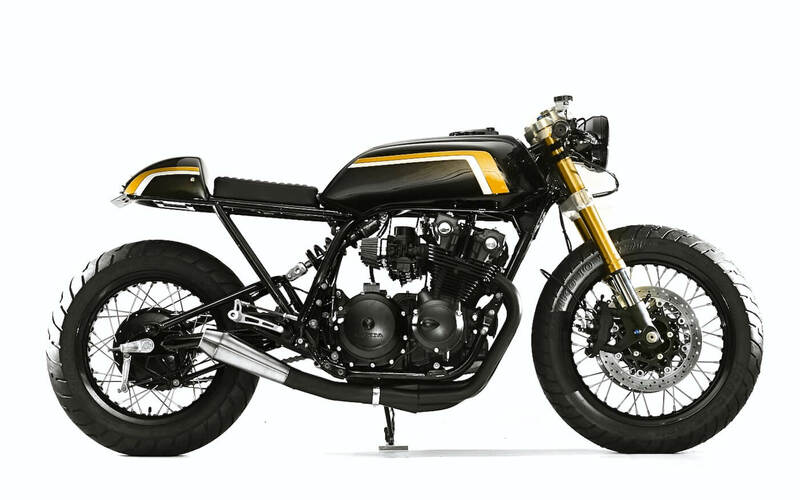 Talking of a Honda CB as a base bike and a USD fork simply puts in one name in our mind: Cognito Moto. 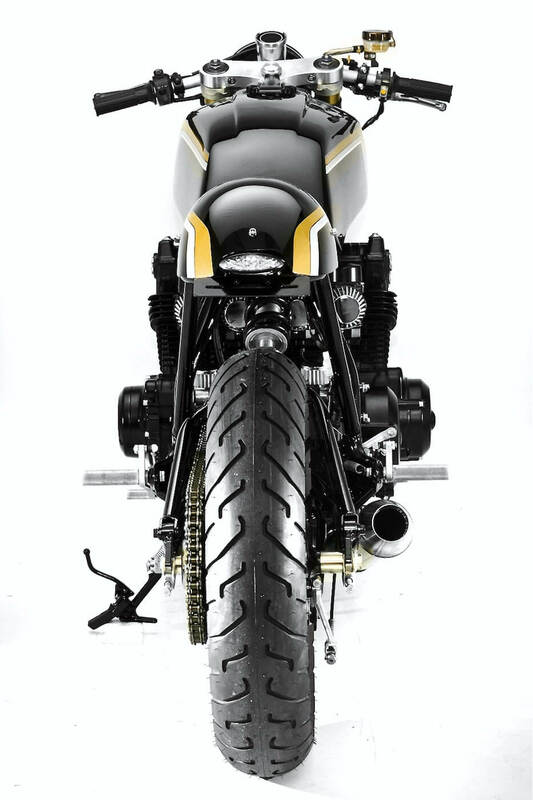 This is the number one place to be when you want to fit a USD fork with spoked wheels on your Honda café racer. 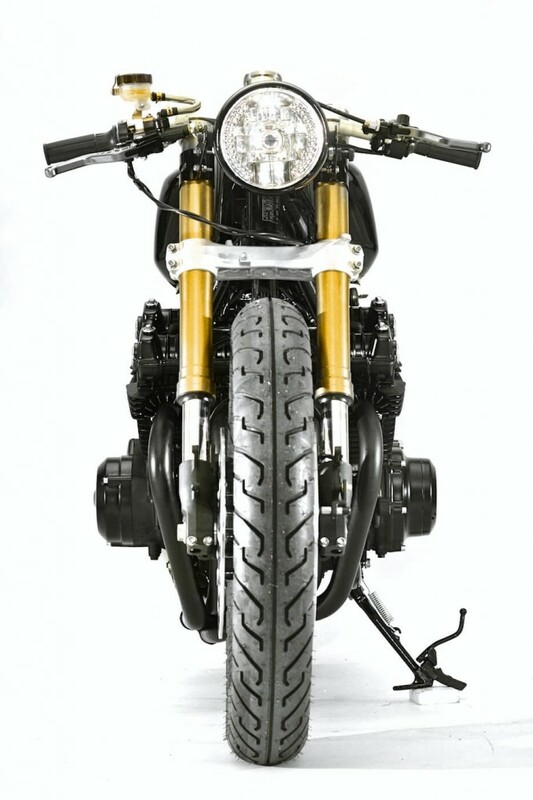 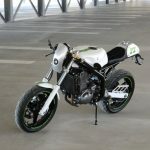 To create a ultra clean rear they’ve mounted a monoshock swing arm and new CNC rearsets. The rearsets are placed further to the back for a sporty riding position.